Glass House Apparel is a clothing company established in Los Angeles providing high quality fashion at an affordable price. We manufacture some of are own custom apparel and provide quality and comfort. We all love fashion at Glass House Apparel and love to see people look and feel good. 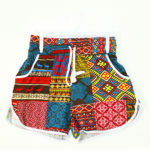 Purchase our high quality fashion at an affordable price. We also take great pride in fast shipping and customer service. If you read our reviews on E-commerce sites such as Amazon and eBay, all of our customers say they love our fast shipping! We also respond to emails and phone calls regarding your orders. We are more of a hands on company. In just the last year, Glass House Apparel has gone on to be one of the top sellers on the biggest online marketplace Amazon, with industry standard service. Customers also love the quality of our items at the price that we sell at. Try our products to take your wardrobe to the next level! I like your comfortable and affordable fashions and want to keep up to date on new posts – looking forward to your next blog.